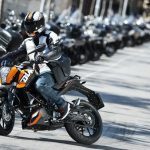 KTM officially announced the 390 Duke will arrive in the U.S. this spring carrying a price of $4,999. 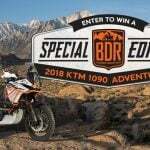 The 390 slots in under the 690 Duke and 1290 Super Duke R in KTM’s lineup of naked bikes in the U.S. (we won’t be getting the even smaller 125 and 200 Dukes here, as they’d be deemed too small for the market). The engine is the same four-valve 373cc Single also found in the RC390, which claims 44 hp. Discuss this at our KTM Duke 390 Forum. 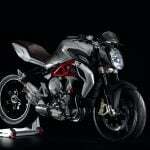 The naked Duke uses a similar steel trellis frame as the RC390 but has a slightly smaller steering head angle. 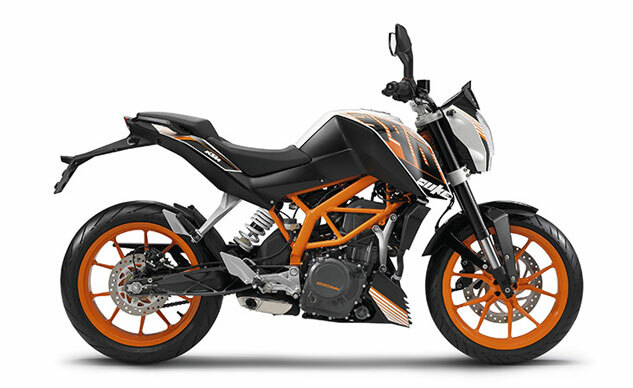 The 390 Duke’s 53.8-inch wheelbase is about an inch longer than on the RC390 but has a bit less ground clearance. 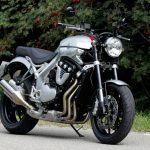 The naked bike also has a larger fuel tank, but at just 2.9 gallons it’s still a half gallon smaller than on competitors such as the Honda CB300F or Suzuki GW250. 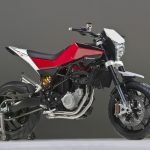 The 390 Duke has a more upright seating position than the RC thanks to its higher and wider handlebars while its 31.4-inch seat height is 0.8 inches lower than on the faired sportbike. 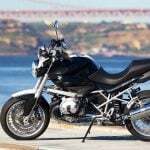 The two bikes have similar 43mm upside-down forks from WP Suspension and brakes (including the Bosch 9MB ABS as standard equipment) and multi-function LCD display. Lacking the plastics on the RC390, the 390 Duke is lighter, claiming a weight of 306 pounds compared to sportbike’s claimed dry weight of 324 pounds.